Josep Maria Bartomeu i Floreta was born in Barcelona on ​​February 6th, 1963 and became a Club member on April 20th, 1974. Bartomeu, who at the time was the Vice President of FC Barcelona, became President on January 23rd, 2014, after the resignation of then-President Sandro Rosell. Bartomeu’s mandate was then revalidated on July 18th, 2015, when his candidacy won the Club’s presidential election with almost 55% of the vote, far more than the other three candidates. The 2015 election had participation of 43.12% (47,270 votes from a voter roll of 109,637 members), the third-highest level of participation in FC Barcelona history. Bartomeu received 25,823 votes (54.63% of those cast). The other three candidates received the following votes: Joan Laporta, former President of the Club between 2003 and 2010, received 15,615 votes (33.03%); Agustí Benedito received 3,386 votes (7.17%); and Toni Freixa received 1,750 votes (3.70%). Before becoming President, Bartomeu had held several high-level positions at FC Barcelona. Between 2003 and 2005 he led the handball and basketball sections. Then, following the 2010 election, he returned to the Club as the Vice President of Sports, a position which he held until 2014. It was during this stage that FC Barcelona won the fourth Champions League title in Club history, its second Club World Cup, two La Liga titles, a European Super Cup and a Copa del Rey, among others. Since Josep Maria Bartomeu has been the President of FC Barcelona, the Club’s professional teams have continued with their success despite having faced such difficult moments as the death of head coach Tito Vilanova. Luis Enrique was then chosen to lead the team, and Luis Suárez, who landed at Camp Nou as the reigning Golden Shoe winner, strengthened the forward line. In recent seasons, Barça has won numerous titles, including the second treble in Club history when the 2014/15 squad conquered La Liga, the Copa del Rey, and the UEFA Champions League after defeating Juventus, 3–1, in that year’s final in Berlin. Barça followed up that effort by winning four more titles in the 2015/16 season, taking home the UEFA Super Cup, the FIFA Club World Cup, and a domestic double of La Liga and the Copa del Rey. In the 2016/17 season, Barça won the Copa del Rey for the third consecutive year. Ahead of the 2017/18 season, and after manager Luis Enrique did not renew his contract with the Club, FC Barcelona signed head coach Ernesto Valverde, who played for Barça between 1988 and 1990. 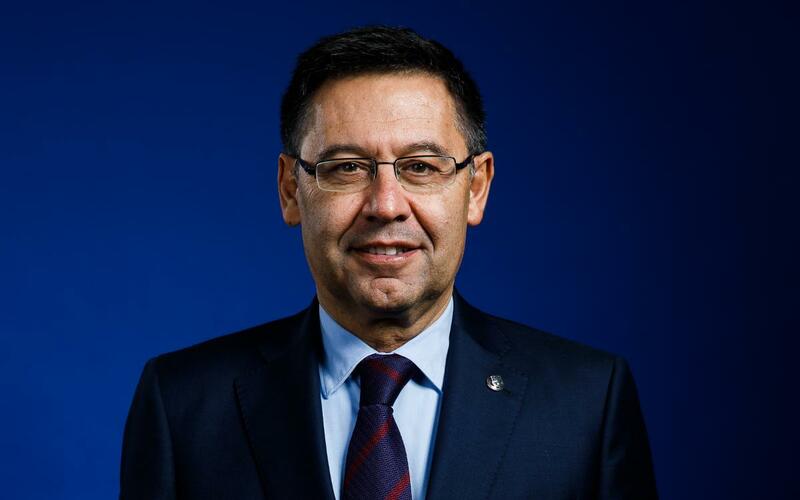 Institutionally, President Bartomeu has promoted an ambitious Strategic Plan for the period that runs from 2015 through 2021, with the objective of making Barça the most admired, beloved, and global sports institution, a plan which includes an annual revenue goal of €1bn by 2021. Among the most important elements of the Strategic Plan are the Barcelona Innovation Hub project, which aims to make the Club a global center for knowledge and sports innovation, and the Masia 360 project, which aims to provide education to all the Club’s athletes. Another project which has been undertaken by President Bartomeu is the construction of Espai Barça, a project approved by the Club’s members in a referendum held on April 5th, 2014, with 27,616 votes for and 9,589 votes against. The Espai Barça plan calls for the renovation of Camp Nou, the construction of a new Palau Blaugrana, the radical transformation of the Stadium’s surroundings, and building a new Miniestadi at the Club’s training facility in Sant Joan Despí, all with a budget of €600m. A team of architects, formed by the firms Nikken Sekkei and Pascual-Ausió, was put in charge of the Camp Nou renovation project after winning a competition held in 2016. Consistent with the Club’s goal of expanding globally, an objective that is included in the Strategic Plan, FC Barcelona opened an office in New York City on September 6th, 2016. The move has reinforced Barça’s globalization efforts and is a fundamental business link for securing new revenues. With the addition of the New York office to the one the Club opened in Hong Kong in October of 2013, FC Barcelona has bolstered its global presence with ongoing operations 24 hours a day. All of these efforts allowed the Club to earn €914m in the 2017/18 season, the highest figure in its history.